We understand that every business is unique, having its own objectives when it comes to marketing. That is why we develop a plan for your website, tailored to make a positive impact on your business. From day one, our experts will treat your website as if it’s our own, paying close attention to detail to every aspect of your site and include every necessary feature which will optimise your site’s efficiency and attract sales opportunities. With an efficient team of dedicated, fully qualified web professionals with experience in design, maintenance, hosting, direct response marketing and systems support, our experts will deliver the highest standards for you – we won’t accept anything less. Our professionals remove the techy jargon and take away the burden of you having to invest in laborious research by presenting you with a seamless and easy to understand interface; easy for your customer to navigate and a clear route to sell your service to your customers. 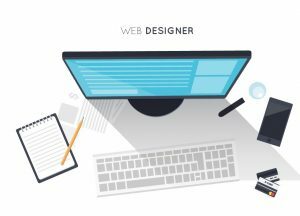 There is immense value in having the full support of experts who understand the detailed intricacies of designing an effective and secure website. This is what makes our design service a no-brainer decision for serious business owners.